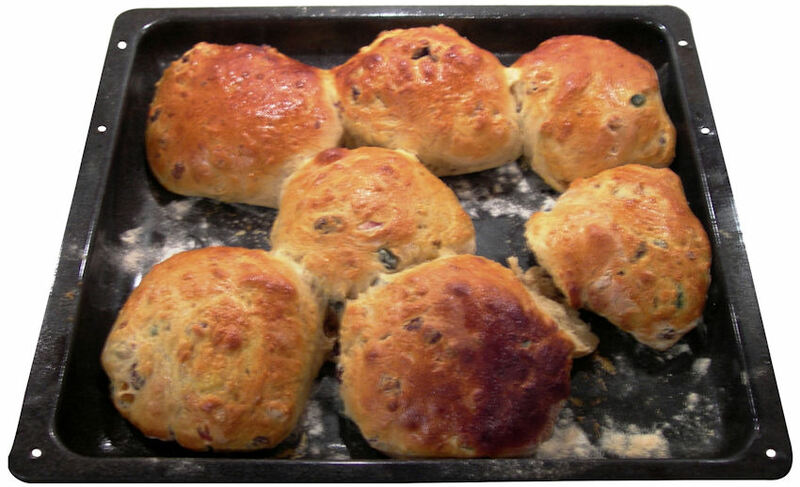 A krentebol is a Dutch round roll or bun, with raisins and currants, and candied fruit. You can eat them straight, or sandwich-style with a slice of cheese. When no longer fresh, they are also great sliced and toasted, again with a slice of cheese. in the USA, they are sold in blocks of 2 oz. Continue kneading until the dough is elastic and no longer sticks to the bowl (it will get slapped around in the bowl).